In Colorado, relatives of the Columbine High School victims got their first look at the home videos left behind by the killers. And once again, hurt has turned to anger and to criticism of police bungling. 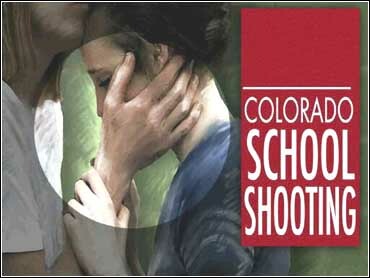 CBS News Correspondent Maureen Maher has the latest Columbine aftershocks. "We can't rest on the Sheriff's Department to bring any healing, because they can't even handle the evidence correctly..." says Jimi Lake of KNUS radio. In Denver, the airwaves crackled with criticism of Sheriff John Stone and his decision to allow Time magazine access to home video tapes of the Columbine killers before the victims' families. "They should have shown us these tapes so that we could be prepared to see this," said Michael Shoels, whose son Isaiah was one of the 12 students gunned down. "They don't know how this would have overtook some of us parents." Since the April shooting, many parents of the victims have been at odds with the Jefferson County Sheriff's Department for releasing information before speaking with the families. In the tapes, Dylan Klebold and Eric Harris reveal the motivation behind their deadly rampage. Longtime Denver resident and Denver Post columnist Chuck Green says that in Littleton, there is little faith in the sheriff. "He has made so many mistakes. He has misled the parents in this case, he's mislead the public and he's mislead the prosecutor." Last night several of the families saw a condensed portion of the tapes, but even that wasn't enough for some parents. "I have to know every bit of information I can about why my son was murdered," says Sue Petrone. And much of the community agrees. "We shouldn't go into the next case like this, saying looking back, we should have known. Looking forward now, we should know," says Chuck Green. Stones insists he will not resign, but expects the tapes will be made public in January when the final report on the Columbine tragedy is issued.